This is a great starter package for the new disc golfer. The package comes with DX Beast & Valkyrie drivers, Shark Mid-range, Aviar putter and a custom Wright Life mini. 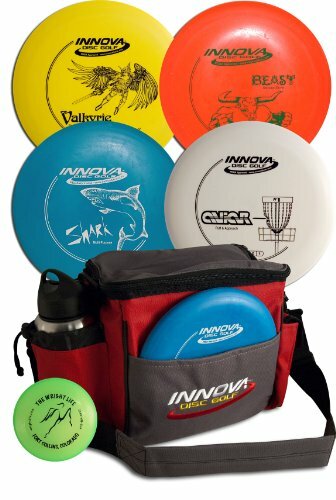 A durable Innova Standard Disc Golf Bag rounds out this set. Bag and disc colors will vary. Based on availability, substitution of similar models may be made. Water bottle not included.